TongaFootball > News > Just Play > Just Play unveils year-end calendar. The newly released timetable comprises three main agenda for every week, starting from this Saturday, August 4, until November 24, which is the Just Play day and the grand final day for the U8, U10 and U12 Just Play competition. According to the schedule, every first and third Saturday of the month will see the Just Play district centers run their own activities with last week of the month is spared for the monthly U8, U10 and U12 Just Play competition to be held at the Home of Football. 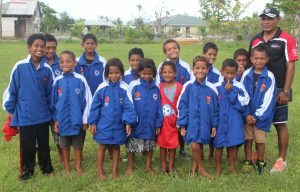 That leaves the second week of the month for the U12 academy squad to meet up at Lototonga SC for their monthly training. Mr. Likiliki said the monthly competition is not compulsory. 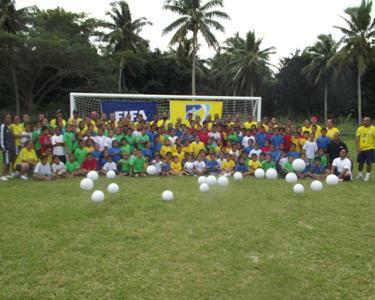 The exciting, fun and entertaining Uefa/AusAID funded children program has become the most popular and attractive kid’s game in Tonga so far. Just Play has put together 180 trained volunteers and 9400 kids but the total number of children who participate in the fun program is up to 14000-16000. Previous Post 2012 Major league to kick-off in September. 2012 Major league to kick-off in September.